A Connecticut man who spent 48 years on the lam after escaping from a work camp in Georgia has not entered a plea and his case was continued until August. Robert Stackowitz, 71, was arrested at his home in rural Sherman, after officials processing his Social Security application discovered a warrant for his arrest. Imprisoned on a robbery conviction, he escaped in 1968 from a prison work camp in Carrolton, Georgia. He's now detained on $75,000 bail and an extradition hearing was held today, where the case was continued until Aug. 1. Stackowitz's lawyer, Norman Pattis told the Associated Press his client is in poor health. Pattis provided previously undisclosed details of Stackowitz's life before the robbery and his time on the lam, including stints as a high school auto shop teacher, Ford dealership mechanic and boat repairman. Stackowitz grew up in Bridgeport and did modeling work as a child. He later got married and had a daughter. He divorced at age 22, which broke his heart and prompted him to hit the road traveling for a while. 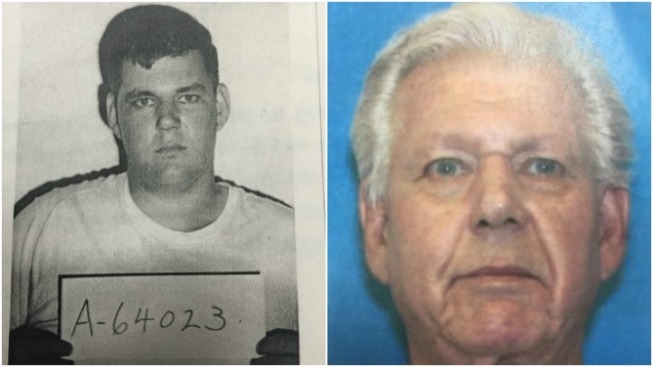 Stackowitz ended up in Georgia in 1966, where he met two other men who asked him to be the getaway driver for a home burglary in Henry County, Pattis said, but the homeowner was there, and the burglary turned into a home invasion robbery. Pattis said no one was injured. All three men were arrested and sentenced to prison. While in prison, officials learned of Stackowitz's mechanic skills and allowed him to tune up the warden's car and work on school buses at a facility next to the prison camp, Pattis said. It was at the bus facility where he escaped from custody. Stackowitz, apparently with enough cash to buy a plane ticket, went straight to an airport and flew back to Connecticut and went on to teach automotive class at Henry Abbott Technical High School in Danbury and worked at a few Ford dealerships, Pattis said. He eventually settled in Sherman, a small town in western Connecticut along the New York border where he repaired boats at his home. In Sherman, he went by the alias Bob Gordon, but some people also knew him as Bob Stackowitz, Pattis said. Stackowitz never remarried, but lived for several years with a woman who later died of cancer, Pattis said. "This is a great guy who made horrible mistakes as a young man," Pattis said. "He would freely admit that what he did was wrong. My hope is that Georgia officials will be inspired by a realistic view of justice."